The US vowed to stage a "global show of force" in the South China Sea next month in response to an incident involving a near-collision between a US warship and a Chinese destroyer in the contested body of water. Pence decried the incident involving the USS Decatur guided missile destroyer as "reckless harassment" in a 45-minute speech on Thursday; he also condemned China's alleged "meddling" in US politics and its "economic aggression" around the globe. But the real message is the one aimed at US allies in Asia, some observers say. "China wants nothing less than to push the United States of America from the Western Pacific and attempt to prevent us from coming to the aid of our allies. But they will fail," Pence said. The US, he stressed, would "continue to fly, sail, and operate wherever international law allows and our national interests demand. We will not be intimidated and we will not stand down," he vowed. According to Brookings Institution China watcher Ryan Hass, Pence's speech was aimed at China's neighbors, and US partners, and asked them explicitly to pick a side in what is emerging as a new Cold War-esque confrontation. "While Pence's speech was mostly framed around geo-strategic competition between the United States and China, he also sought to rally international support behind American efforts to confront China," Hass wrote. Pence, the researcher argued, "drew an implicit comparison to Nazi Germany and Imperial Japan by warning about the historic pattern of countries that pair oppression at home with ambition abroad. He accused China of using 'debt-trap diplomacy' to expand its influence. 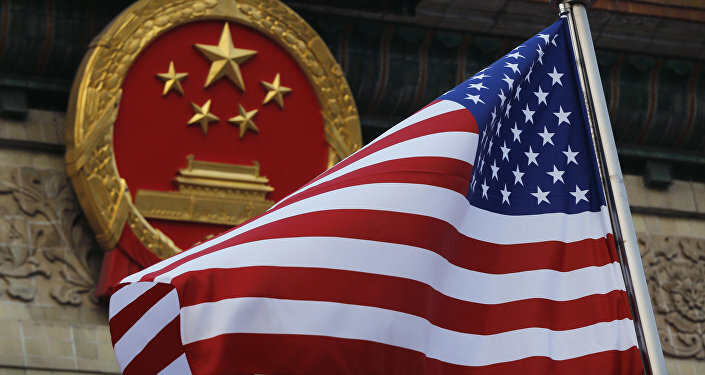 The overriding message was that the United States is strong and determined, China is a significant threat, and countries should position themselves with the United States." Unfortunately for Washington, the analyst observed, despite risking "embarking on a Cold War-like approach toward China," the Trump administration has not yet really received "the clear backing of any ally anywhere in the world for joining the United States in a purely confrontational posture toward [Beijing]." Australia, for example, has so far avoided joining the US in its "show of force" operation, despite its status as a key US ally in the Pacific and its participation in virtually all US military operations since WWII, from the Korean and Vietnam Wars to the Iraq and Afghanistan Wars. Regarding the US's upcoming 'show of force' plans, a Defense Ministry spokesperson said that while Canberra respects the rights of countries to exercise freedom of navigation, US operational planning was "a matter for the US government." Speaking to the South China Morning Post, Aaron Connelly of the Lowy Institute, a Sydney-based think tank, argued that Canberra's approach seems sensible, given that countries which openly partner with Washington on the South China Sea issue face the prospects of a harsh Chinese response, including "consequences for the bilateral relationship." And while Australia has no claims in the disputed South China Sea area, it remains to be seen whether the Philippines, Vietnam, Malaysia, Brunei and Taiwan, which do have such claims, can be made to join Washington in its crusade, given strong economic ties and other links, including ongoing bilateral and multilateral negotiations aimed at bringing the territorial dispute to an end. The US Navy has conducted freedom of navigation maneuvers in the South China Sea since 2015, sailing within the 12 nautical miles of geographic land formations which China has claimed as its sovereign territory. 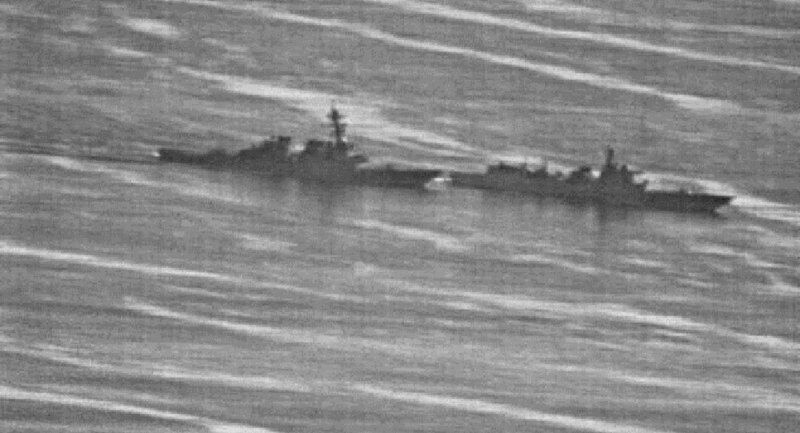 Last month, the US's British allies sailed a warship through the disputed zone, sparking China's ire. The South China Sea is one of the world's most sensitive sea zones, accounting for some $5 trillion in annual global trade and rich in natural resources including fish and energy. Nearly 60 percent of Chinese trade and upwards of 80 percent of China's hydrocarbon imports pass through the strategic waterway. Beijing has built and expanded defense installations and airfields on strategically-located islands in the region in a bid to claim sovereignty; other countries in the region are issuing competing claims.